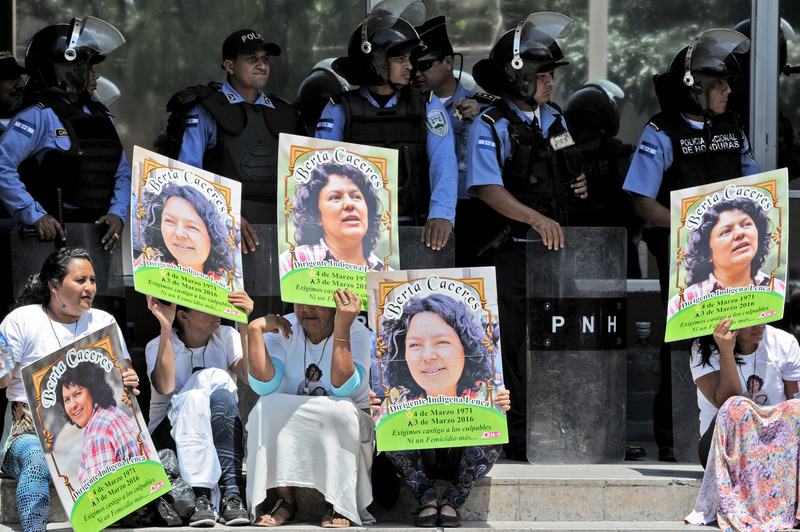 Prominent indigenous activist Berta Caceres was killed in rural Honduras early Thursday, marking a new low point for a country already ranked as the world’s most dangerous for environmental activism. 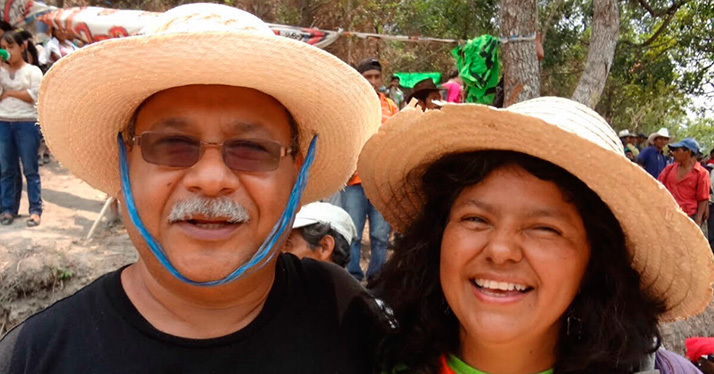 Caceres, a winner of the prestigious 2015 Goldman Environmental Prize, was killed in her home about 1 a.m. by unknown assailants who forced their way inside, then fled, Honduran security officials said. Fellow rights activists said she was shot by two attackers. 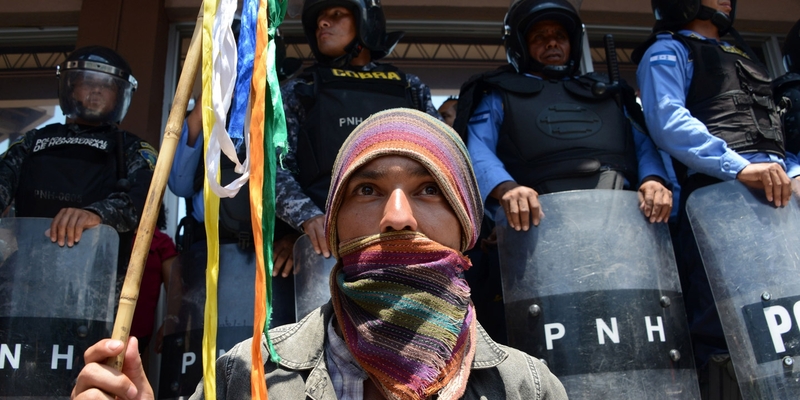 The watchdog group Global Witness ranked Honduras, which has one of the world’s highest homicide rates, as the most deadly for environmental activism last year. 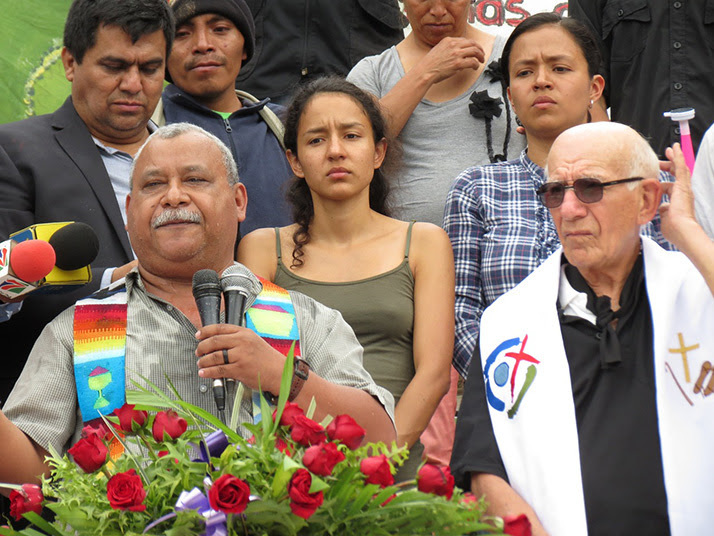 Caceres had held a news conference last week to denounce the killing of four fellow activists who, like her, opposed the Agua Zarca hydroelectric project. China’s state-owned firm Sinohydro, the world’s largest dam developer, had partnered with the Honduran company to carry out the project, but fierce protests led by Caceres blocked it. “Let us come together and remain hopeful as we defend and care for the blood of this Earth and its spirits,” she said last year during her Goldman Prize acceptance speech. She continued her activism as an indigenous leader and was a fierce critic of the right-wing government of President Juan Orlando Hernández. Caceres received frequent death threats and was assigned police protection, Honduran officials said. Security Minister Julian Pacheco said Caceres had recently moved to a different residence and had not notified local authorities. A security guard assigned to her home has been taken into custody, Pacheco added, speaking at a news conference in the capital, Tegucigalpa. Photographs in Honduran media showed Caceres’s body shrouded in plastic and loaded onto the back of a pickup truck this morning en route to a morgue. Caceres, 45, had four children, said her nephew, Silvio Carrillo, a freelance journalist based in San Francisco. 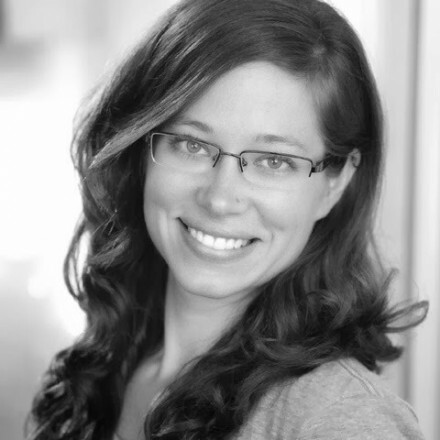 “We are devastated by the loss of our fearless Bertita,” he said in a statement on behalf of the family. Carrillo, 43, said he was raised in Washington because his mother — Caceres’s sister — and his father, a lawyer, were forced to flee Honduras in the 1970s in the face of death threats. Plagued by drug violence, gang warfare and extreme economic inequality, Honduras is also one of the world’s most dangerous countries for journalists, LGBT activists and practically anyone who challenges powerful interests. She routinely clashed with local authorities and delivered firebrand speeches. She also won international acclaim as a determined indigenous activist in a country where that profession alone could be a death sentence. Early on March 3, it was. Caceres was at home in the town of La Esperanza (“Hope”) when masked men broke in and shot her to death. They also shot her colleague Gustavo Castro and left him for dead. They were not the first, nor the last, such targets. Two weeks later, an associate of Caceres, Nelson Garcia, was killed. As many as 100 indigenous activists have been slain in recent years in Honduras. The administration has sent a retired detective and a Justice Department prosecutor to assist Honduran authorities. But numerous irregularities in the collection of evidence, preservation of the crime scene, autopsy and other procedures have been reported. As part of the political fallout, a $750-million package of U.S. aid designated for northern Central America — the largest such aid plan for the region in more than a decade — may also be in jeopardy. Numerous members of Congress have signed letters to Secretary of State John F. Kerry to protest the Caceres killing and to demand an independent investigation. The strongest letter, signed by nearly 60 lawmakers, demanded some aid be suspended pending a review of the case. “We are profoundly saddened and angered by the brutal assassination of … Caceres, and appalled by our government’s continuous assistance to Honduran security forces, so widely documented to be corrupt and dangerous,” they wrote. Honduras, El Salvador and Guatemala must meet conditions on human rights, migration and other governance issues before the U.S. aid money is released, and were on track before Caceres was killed, according to State Department officials. Some of the money goes to training police forces. A senior administration official who works on Central American issues said a single case, such as Caceres’, would not determine a shift in U.S. policy because the White House was concentrating on a broader approach to the region. The official, who spoke on condition of anonymity in discussing internal deliberations, said U.S. dealings with Hernandez had overall been positive although Honduras remains problematic. Days before the killing, Hernandez was feted in Washington as he claimed success in reducing violence in his country. The administration has portrayed Hernandez as a credible partner in tackling the region’s myriad troubles, including the flood of undocumented families to the U.S. border, rampant violence and drug-trafficking. That kind of assessment infuriates many in Congress and in the activist community. They are skeptical Hernandez will allow a credible investigation into the Caceres slaying or ease the government’s repression of people it doesn’t like. The U.S. approach is overlooking egregious abuses, they argue. Hernandez won praise from the State Department when he asked the United Nations to assist in the investigation. 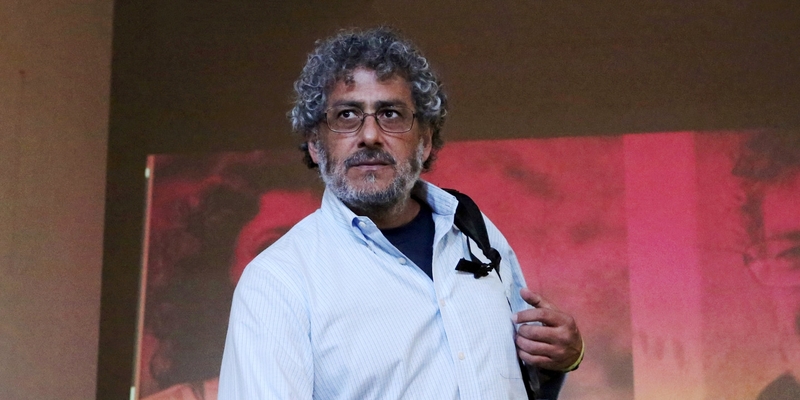 Critics, including the Caceres family, want the Inter-American Commission on Human Rights to intervene because it has more experience in slaying cases. Commission members held heated closed-door discussions with Honduran officials in recent days, a participant told The Times. On Friday, the commission announced it had asked Honduras to give a special group of experts access to the case in the country. “We expressed our profound indignation and consternation” to the Hondurans, said the commission’s liaison for Honduras, Francisco Eguiguren. The commission had repeatedly demanded protection for Caceres in the months before she was killed, saying she was in grave danger. She had often predicted — more than 30 times by one count — that she would fall victim to the conflicts that engulfed her and her Lenca people. 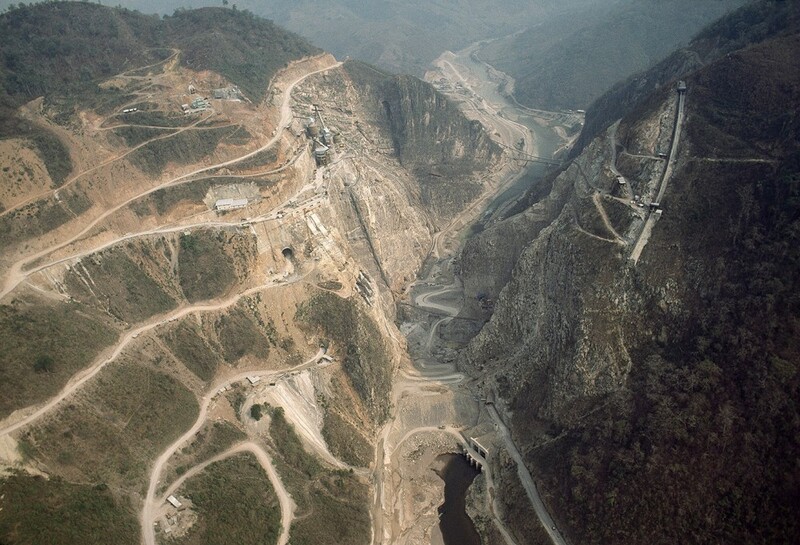 Her most recent cause was a major dam project, sponsored by the Honduran government with Chinese financing, that the Lencas said would ruin their ancestral waterways. Many in Washington see the Caceres case as a potential watershed for how Washington deals with Honduras going forward. Honduras would not let Caceres’ colleague Castro, who survived the attack, leave the country for a month after the shooting. A Mexican national, he took refuge in the Mexican Embassy in Tegucigalpa, the capital, until he could go home. Castro told reporters in Mexico City that Honduran security forces had tampered with the crime scene. Under Honduran law, families of homicide victims may have a consultant attend autopsies and are to be kept apprised of the investigation. Zuniga, Caceres’ daughter, said that didn’t happen in her mother’s case. Sen. Patrick J. Leahy (D-Vt.), influential in matters involving Latin America, has followed the case closely. A 20-year-old law named for him would revoke U.S. aid to security forces implicated in human rights abuses. During his third speech on Caceres in just two weeks, Leahy propped a jumbo photograph of her on an easel beside him on the Senate floor. The government of Honduras and the company building the dam “were complicit in condoning and encouraging the lawlessness that Ms. Caceres and her community faced every day,” he said. The killing of Caceres and allegations that Honduran authorities have bungled the investigation have created a dilemma for the Obama administration. The White House supports Honduran President Juan Orlando Hernandez — even as some U.S. officials suspect state or state-supported assassins killed the activist.